Cloth mouse pads tend to have a reputation for being flimsy, often tearing or coming apart easily. But the SteelSeries Dex is a standout. It’s hefty, with a textured cloth surface and a silicone underside that are tough enough survive machine washing. Because its cloth top is almost rigid, the Dex doesn’t feel cheap or flop around. Even after a long bout of testing, we didn’t encounter any warping or tearing, as you’d expect with a standard cloth mousepad. And when it gets dirty, you can just put it through a standard wash cycle and presto—a clean pad. Most importantly, mouse movement is smooth and consistent when using this mouse mat. There’s no detectable drag, and the pad stays put even during quick or excessive movements. 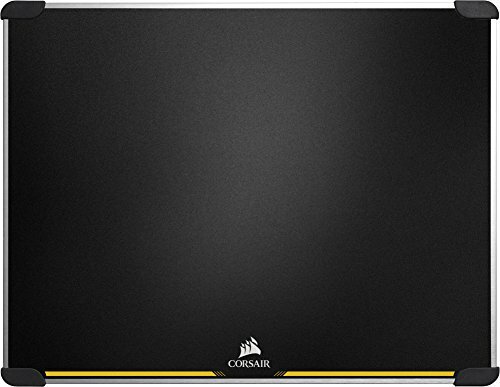 A solid aluminum pad with two different coatings, Corsair’s MM600 is the best of two worlds. You get a coarse side and a quick side, both of which are quite accurate and don’t interfere with mouse sensor readings. An additional benefit is that the polymer coating on both surfaces prevent the aluminum from becoming too hot or cold based on ambient temperature. The only weakness of this mat is its use of four feet at the corners to hold it in place. If one doesn’t sit quite right, the pad can slide around during use. Otherwise, the design is nearly perfect—and it’s a lot cheaper than many higher-end competitors. 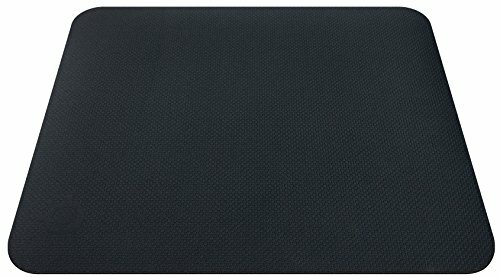 The main (and most common) type of gaming mouse pad is the cloth mat. They’re flexible (literally), which allows you to lay them just about anywhere, be it a desk or a couch armrest. They’re also highly portable. Their only drawback is a lack of durability. Heavy users might want to look at rigid mats. They come in varied materials, from hard plastics to steel and aluminum. But the increase in toughness also means a loss of flexibility (again, literally), and so hard mats are basically impossible to use on any kind of uneven surface. Obviously, the best type for your needs will be a combination of how you plan to use it and how long you want the pad to last. If you’re at home most days and plan to leave your mouse mat on a desk at all times, you may not need to worry as much about durability. But if you’re constantly on the go and need to cram it into a messenger bag, you might want a pad that can endure regular abuse. 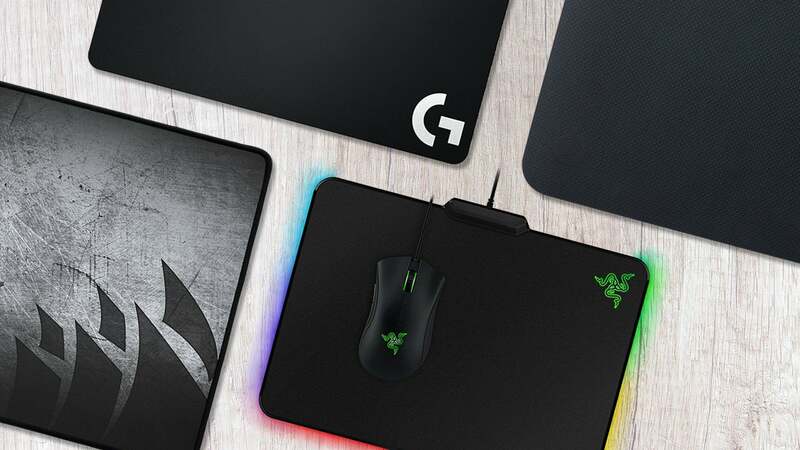 If you’d like to look into other options, below you’ll find capsule reviews of all the mouse pads we’ve evaluated so far. Be sure to come back, as we’ll continue to add to this list—and update our top picks when a new outstanding product crosses our desks.